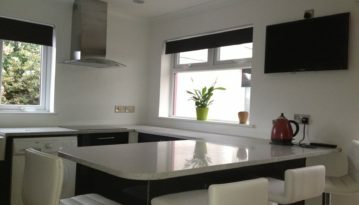 We make sure that your kitchen is fitted flawlessly at a price that is affordable for you. All materials we use are reliable and hard-wearing, and there’s a wide variety of different doors and worktops to choose from. We understand that the basic elements of your kitchen can really set the atmosphere, so we take the time to make sure they look amazing. 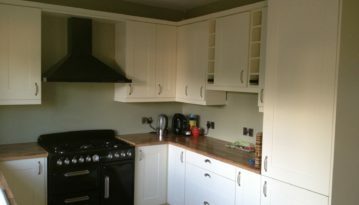 The worktops we fit are solid wood so they can cope with all amounts of wear and tear. 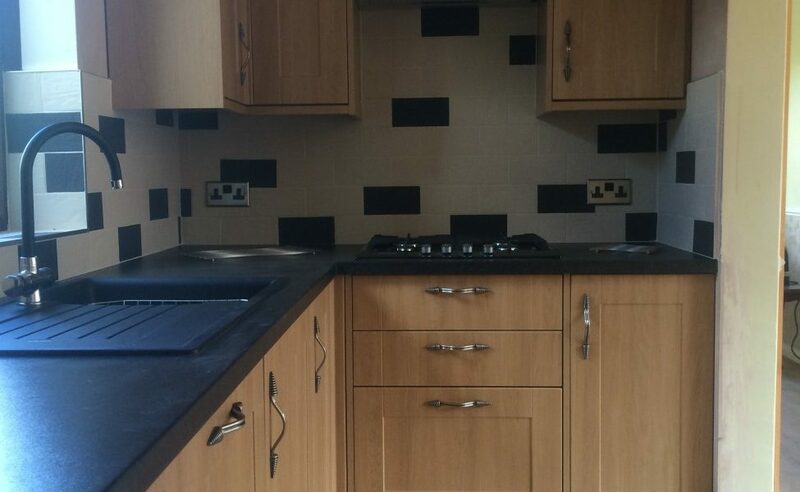 We have several options for you to choose from, but if you prefer, you can source your own worktops and we can fit them for you. 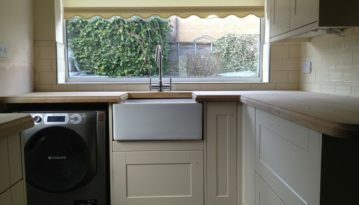 No matter which worktops we use, we make sure they are fitted to perfection and look great alongside your storage units. We carry a huge range of options for your kitchen doors and worktops, so no matter what kind of style you want to achieve, it’s possible. Many of our clients like to go for a clean, modern look – sometimes with a pop of colour or integrated handles – and some customers prefer a more traditional look. The way you want your kitchen to look is completely up to you. We are just here to help you achieve it.